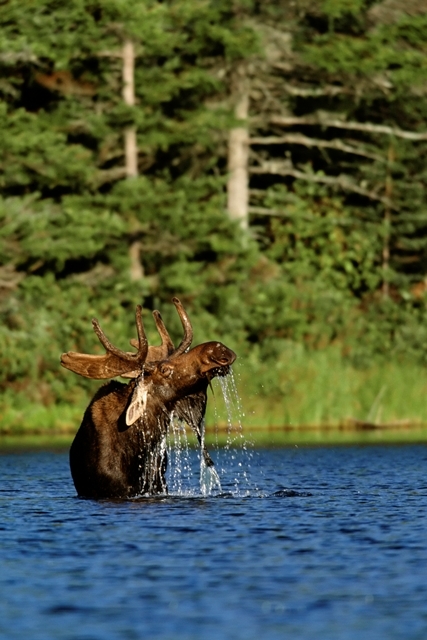 The North American moose is seen by many as an iconic symbol of Minnesota’s North Woods. But around the world, moose at the southern edge of their range are disappearing. Minnesota is one of the first places in which this decline was documented. Scientists are still working to understand what is causing the decline in moose populations as of late, but one hypothesis has to do with global climate change. Along with several other Minnesota native species conservation programs, the Minnesota Zoo is currently undergoing efforts to understand this frightening trend. In Minnesota, moose populations have declined about 50 percent since 2006. 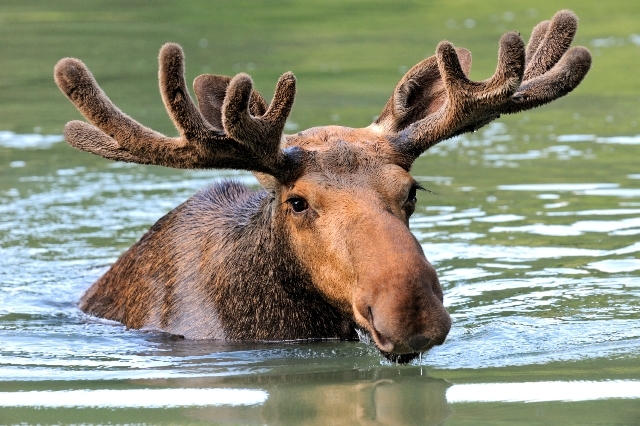 The warming temperature trends of the state may be to blame, as moose are intolerant to heat. Temperatures in the areas of the state that the moose inhabit are rising, and are predicted to continue that trend in the future. The Minnesota Zoo’s Conservation Department has partnered with Dr. Ron Moen of the Natural Resources Research Institute at the University of Minnesota Duluth to study the habits of Minnesota’s moose population to discover what these mighty mammals do to cope with the rising temperatures. Utilizing data from wild moose that were previously equipped with satellite tracking devices, Minnesota Zoo Conservation Biologist, Dr. Nick McCann, studied how moose respond to warm temperatures. 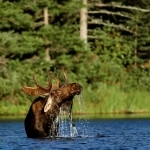 His research helped identify areas that moose are more likely use to “beat the heat”. This information is important for understanding what we can do to keep moose in the state. 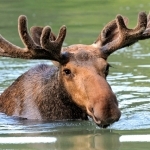 You too can contribute to the conservation of moose, both in our state, as well as around the country by visiting your local AZA accredited zoo and/or aquarium and educating yourself about these amazing animals.